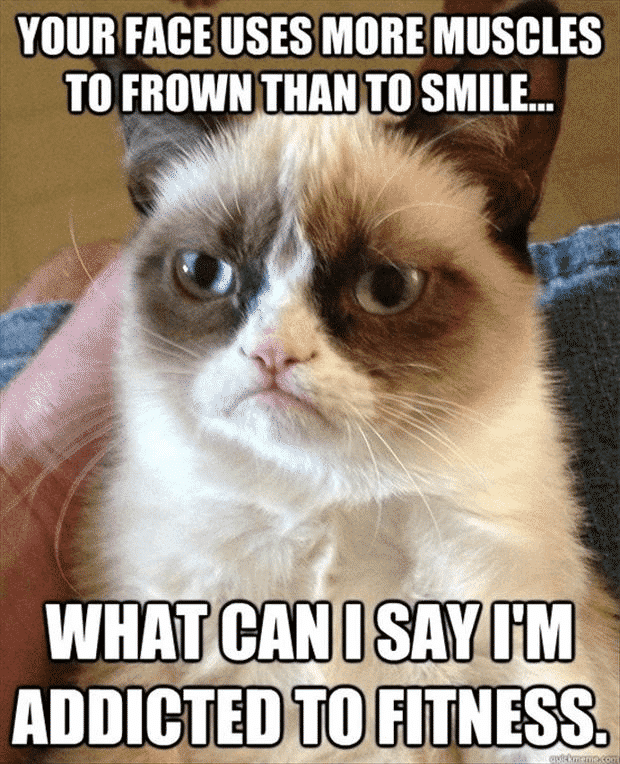 Unless You’re Grumpy Cat, Stop Being So Negative, Okay? When you’re overweight, very few things are easy. It’s hard to walk across the house or yard, hard to sleep at night, hard to maintain social relationships, hard to look in the mirror. It’s hard to just be overweight. That’s not to say that everything about being overweight is tough. One thing that’s incredibly easy is being negative. Just ask Grumpy Cat. She’s made an career out of being negative. Joking aside, it is crazy how easy it is to make jokes at your own expense, talk yourself down, and more often than not, sink into depression. The negativity is easy to find and even easier to embrace. I know this is true because I fell into this trap. One of my primary defense mechanisms has always been self-deprecation. I mean, if I mock myself before someone else can, then I’m the one in control. 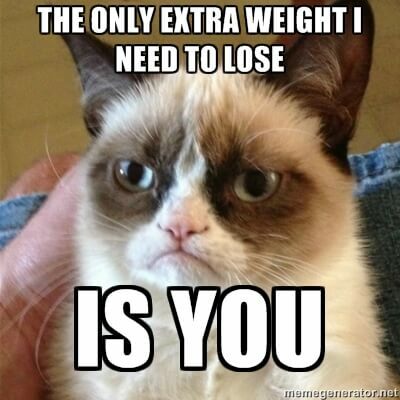 Unless You’re Grumpy Cat, That Ain’t The Case. All negativity and self-deprecation do is make you even more unhappy. For me, the negativity just made me angry, sullen, and hard to be around. One of my friends once said that my weight was always like a black cloud over my head that followed me around. And let me tell you, folks: I wasn’t Grumpy Cat. Life wasn’t one hilarious internet cat meme after another. Being that guy sucked. For me, and for everyone around me. I couldn’t lose a pound of weight until I stopped being that guy. I couldn’t do anything but gain weight because I saw myself so poorly. Now, I’m not saying that I thought I was worthless or anything like that, but I was pretty down on myself. But I being negative was so easy. And working out and losing weight took so much effort. So I went with the negative. But this is me telling you folks to stop it. Just stop. Stop making fun of yourselves. Stop seeing being overweight as being a bad thing. Stop seeing your life and your situation as a barrier to your happiness. Start thinking about things differently. You’re not fat; you’re overweight. You’re not lazy; you’re unmotivated. You’re not incapable; you’re untrained. See what I did there? I changed words with negative connotations to similar words with positive connotations. That’s all it takes to change your entire outlook. And it’s all semantics. It’s simple. But it’s not easy. And it’s certainly not fast. Changing the way you think about yourself, your health, and your approach to fitness is a tall order, but it is the only way you can get sustainable results. It’s the only thing that can take that black cloud from over your head and turn it into a ray of sunshine. Unless you’re Grumpy Cat. Which you’re not. Here’s a question for the English Prof: When did “overweight” become a single word, not “over weight”? It’s one word when it’s used as a prefix to indicate body weight vs the average. To say that someone is over weight means they were higher than a specific target (like a boxer being too heavy for their weight class, thus being over weight, but not necessarily overweight.) Does that make sense? Oh certainly, but it seems to be a neologism of maybe the past 20-25 years. I don’t remember seeing it as a teen or earlier.